Have you noticed how children can become more engaged with a book when they relate to it in someway? When the lead character shares their name and looks a bit like them they definitely show an interest. 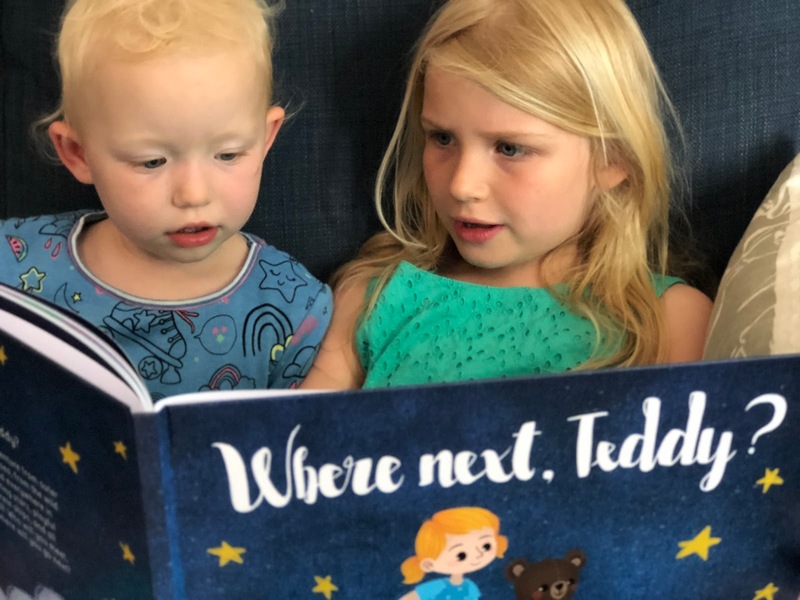 You might be lucky enough to stumble across a book which seems to be about them, but if you don’t want to leave it to chance there are a number of companies that will print a book personalised for your child. “Where next, Teddy?” is a beautiful personalised book we were sent to review by Chapterful where your child goes on a bedtime adventure with a teddy bear. 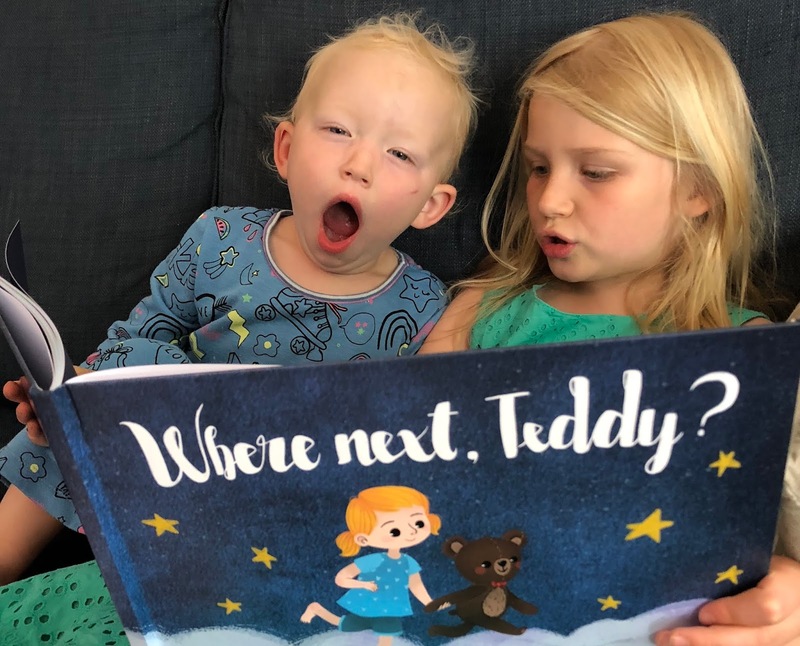 “Where next, Teddy?” is written, illustrated, designed and printed in the UK. 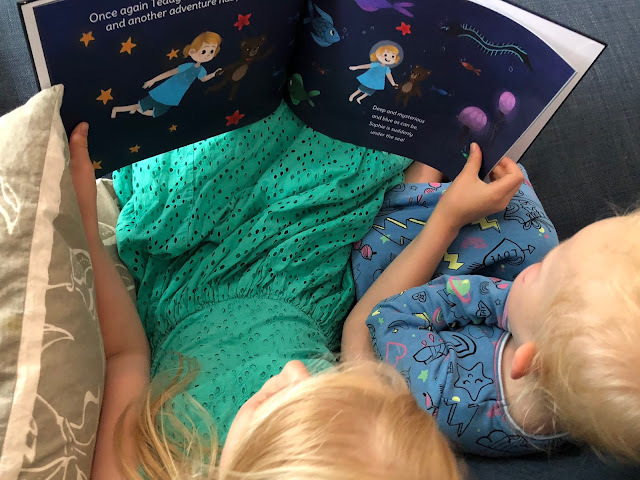 The website allows you to quickly personalise the book with your child’s name, gender, hair colour (from a choice of 5 each with a different hair style and skin colouring) and the ability to add glasses and a wheelchair which is a nice touch. You can also add a personal message to be added on the first page. Finally you can choose to have the book in paperback, hardback or with a cushioned cover. I chose the hardback version and I was impressed to see the inside pages are of good quality too. The story is based on your child going to bed with Teddy and going on a number of adventures. At 33 pages it is longer than many children’s books and it works well as a bedtime story to get your child ready to fall asleep. The rhythm had Little yawning by the end on the first read through which is a strong recommendation for it. The story is easy to follow and each adventure is only a few lines long, but it is sure to give your child ideas to get them dreaming quickly. The text is accompanied by endearing illustrations which should appeal to both children and adults. Chapterful have kindly offered a personalised book to one of my readers, for your chance to win enter my giveaway via the Rafflecopter widget below. UK entry only, closes midnight 24th June 2018. At bedtime and in the garden on warm afternoons. I read with my grandson after school. I love to read to the childen at any time. At bedtime and whenever they climb on my knee. At bedtime is always a good time. We always read books before bed. Anytime really, but especially at bedtime. at bedtime after their bath! When my great-niece comes to stay we usually like to read mid afternoon. Bedtime is the main time, but i would read a story during the day too. To cuddle in and read a book to your children is just the best thing in the whole world. We normally read at bedtime. I love to read with my children at bedtime and occasionally in the mornings. Anytime really but bedtime is probably the favourite. "Mummy, Please Can I Have Bra?"